Ambitious projects often consume a lot of power. A team from STFC’s Daresbury Lab and CERN are working a solution to reduce CLIC’S power bill by replacing power-hungry electromagnets with permanent ones – magnets unplugged, so to speak. In order to focus and bundle the particle beams, the Conceptual Design Report foresees tens of thousands of electromagnets along the beamlines. These include about 42,000 quadrupoles for the drive beam. Because they are tuneable these permanent magnets would fulfil CLIC’s high-precision requirements: they can be adjusted precisely to correctly focus the drive beam as it loses energy by fulfilling its mission of powering the main beam. . 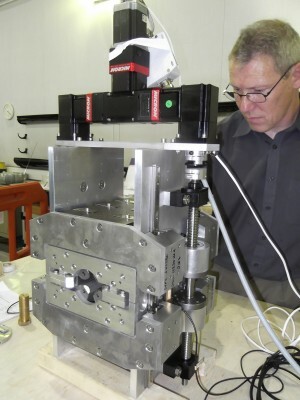 The team has already produced successful prototypes of the drive-beam quadrupoles and is currently looking at several different options for permanent magnets for other parts of the beamline complex. For further details see Jim Clarke’s plenary talk. The CLIC accelerator experts are in the process of developing and testing new structures to reach the required high accelerating gradients as reliably and as cheaply as possible. 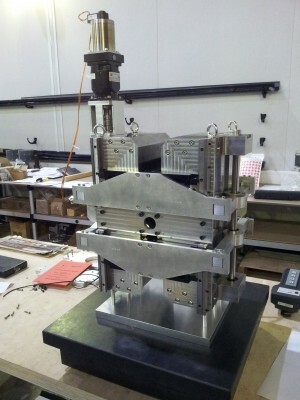 One new design originates from SLAC National Lab in the US. It incorporates a simplified production procedure, with cavities coming in two halves, which could potentially make them cheaper and easier to produce in industry. For more details see Walter Wuensch’s plenary talk.